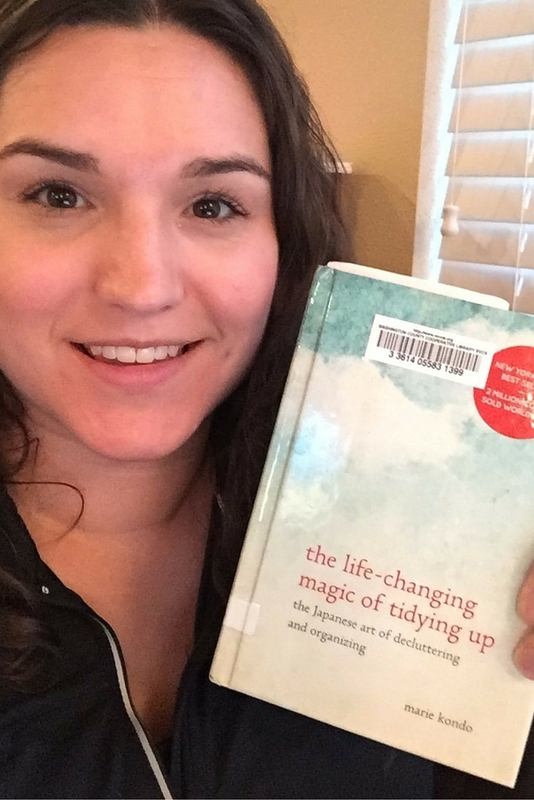 First of all, I’ve had a few moments of feeling like I’m the only person on the planet that hasn’t read The Life-Changing Magic of Tidying Up by Marie Kondo. That may be a slight exaggeration, but seriously, so many people have read it! I’ve read several articles and blog posts, and while it sounded intriguing, I definitely wondered if I really needed to read it after I got all the basic tips from summaries. My decision: If I could get it from the library, it was worth reading. I’m pretty sure the waiting list was around 200 when I put in my request, but it came up much sooner than I expected based on those numbers. Either that, or I’ve been busy enough that I have no concept of time (probably a little of both). 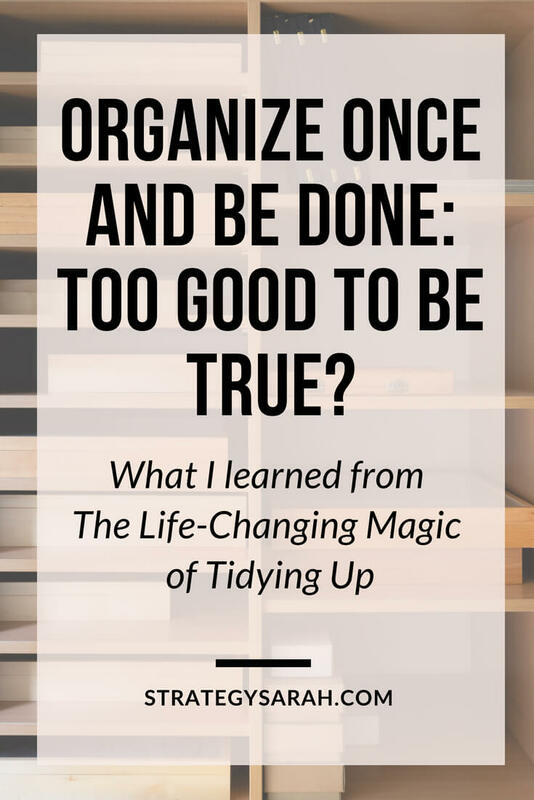 Organizing (or tidying, as Kondo calls it) is a skill to be learned, but one that very few people are actually taught. And those of us who have been taught, or self-taught, are going about it all wrong. She hypothesizes that once you learn how to tidy properly, you’ll only have to do it once in your life. Fairly radical. She also claims that she’s never had a client relapse. Decide what to keep, and decide where to put it. Then you’ll never need to tidy again. Simple and straightforward. The emphasis on what to keep, rather than what to get rid of is unique. She talks about choosing based on what “sparks joy” when you pick it up. 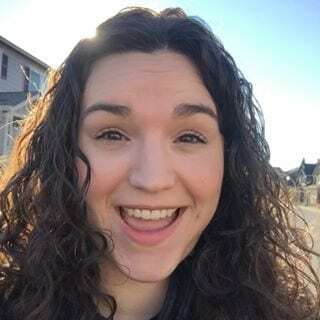 She takes a fairly broad definition of sparking joy – for example, a toothbrush sparks joy because it keeps your teeth healthy and prevents disease. She does get a little out there, with her take that possessions and dwellings have feelings and should be treated accordingly. A little crazy. However, maybe it’s not so much of a stretch. I live with toddlers, so we regularly deal with possessions as if they were animate objects with feelings. And pretty much every children’s book, show or movie has at least one animated character that doesn’t actually have a personality or feelings. I was expecting to think she was crazy for that part of the book, but honestly, the woo woo feelings part was more understated than I expected based on reviews. Maybe I’m more in tune with my inner woo woo than I realized. I’ve heard several people talk about how she talks about socks needing to rest, and while she does say that, her rationale made sense. The logic is that socks folded over on themselves are stretched out and that causes the socks to deteriorate faster than they would laid flat and then rolled together. Fair enough. Can you really tidy once and be done? While Kondo speaks of the importance of tidying all at once, she also says the one-time process takes an average of six months. Of course, the Type A in me immediately things, “Well, if she says all at once, then I should get it done in a week!” Hmm…maybe that’s part of my problem? My biggest (but still minor) complaint about The Life-Changing Magic of Tidying Up is that Kondo spends a great deal of focus on clothing, papers, and then has a very broad category of “miscellany” that includes pretty much all household items. My kitchen and garage have far more clutter and disorganization than my clothing and papers. Once you ponder her claim that tidying is as much a mindset shift as a physical act, and the fact that she advocates spending six months tidying, her claim of no relapses makes more sense. If I were to spend six months straight systematically deciding what to keep based on what sparks joy, and then designating a specific home for each item, that would likely be long enough to truly go through all the items I own and fully curate them, as well as enough time for the new mindset to become a fully ingrained habit. Of course, as with anything, there will be routine maintenance, but if a tidy mindset is in place, the routine maintenance will be a natural rhythm of life, and a major overhaul won’t ever be needed again. With roughly six weeks until we move, I’m going to try a pass at tidying. The garage is clearly not my realm, so I’ll leave that one alone, but I’m committing to tackling my paper clutter and my kitchen. Does clutter plague you? Have you tried Kondo’s method of tidying with any results?